While driving from Charlotte, NC to Appomattox, VA yesterday, I passed an interesting road name in Southern Virginia. It was intriguing to me, so I turned the car around and went back to explore it. 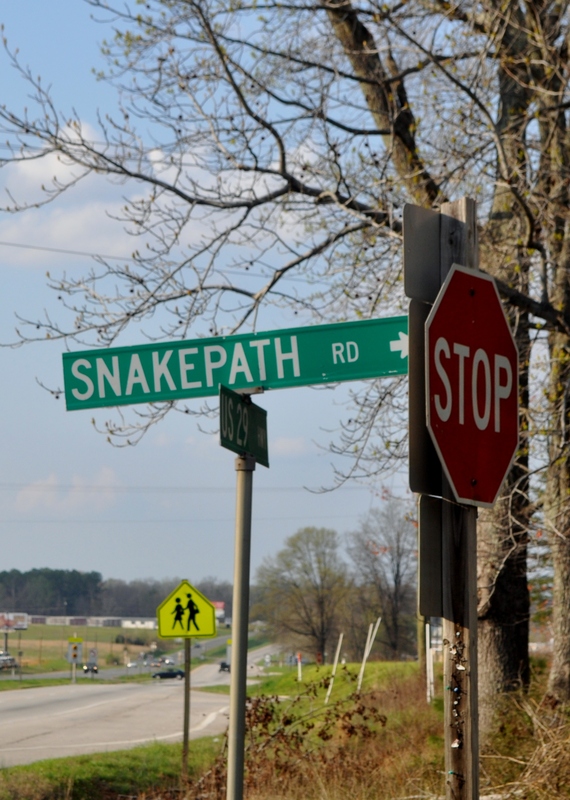 The name of the street: Snakepath Road! So what generated this name? Was it the migratory pathway followed by slithering serpents upon their annual journey from one disgusting mud hole to another? Or was it merely descriptive of an oft twisting road? The street did turn and curve a good bit – though not excessively beyond many country neighborhood sorts of roads. 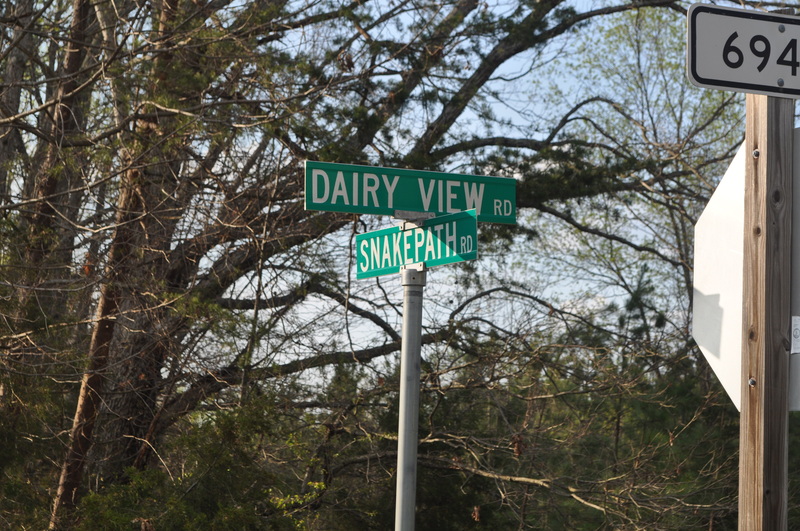 Well, about a mile down the road, Snakepath intersected with Dairy View. Isn’t that special? 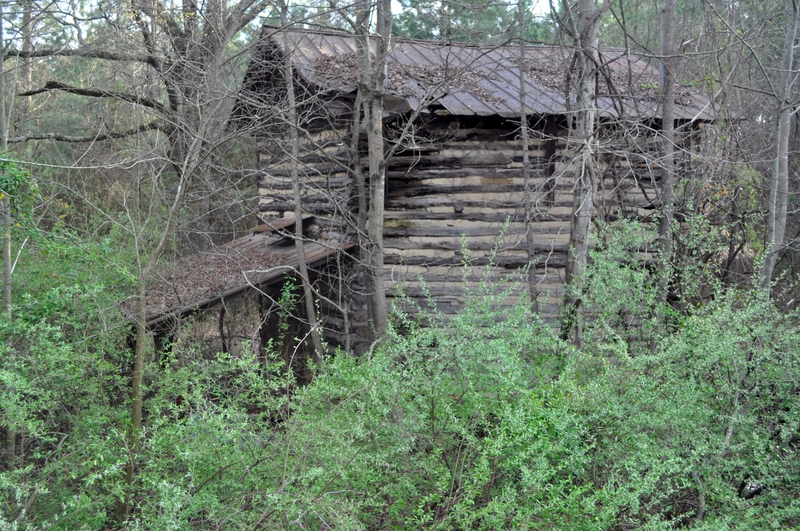 But also along the way were the ruined remains of an old log house – quite a sight! When one sees such a building, you cannot but ponder the folks who built and lived in that structure at some point in the distant past. My guess is that they likely died from some venomous toothy kiss from a reptile!